The global listed property sector has been characterized by a variety of noteworthy developments over the recent past, the proliferation of real estate investment trust-type structures in countries around the world key among them. Despite an uncertain economic environment, REITs have proven their ability to promote institutional real estate investments in global financial markets. 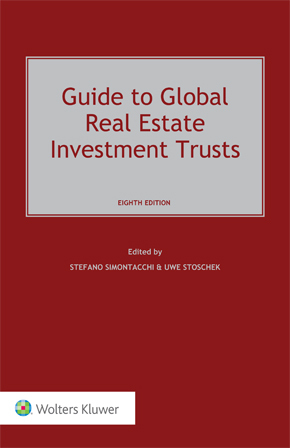 This highly practical book features a comprehensive analysis of both the legal and tax underpinnings of REIT-friendly legislation in a variety of the world’s most significant jurisdictions. With regard to the legal framework, the structure and functioning of a REIT is carefully investigated and explained. In terms of tax issues, the book focuses on such key issues as REIT formation, operation and liquidation; mergers, acquisitions and dispositions; as well as planning for public and private REIT offerings and re-securitizations. REITs are inherently complex and their interplay with tax treaties further compounds the complexity. This highly accessible yet authoritative work is the perfect decision making tool for any professional looking for perspective and guidance on the challenges and opportunities REITs engender.